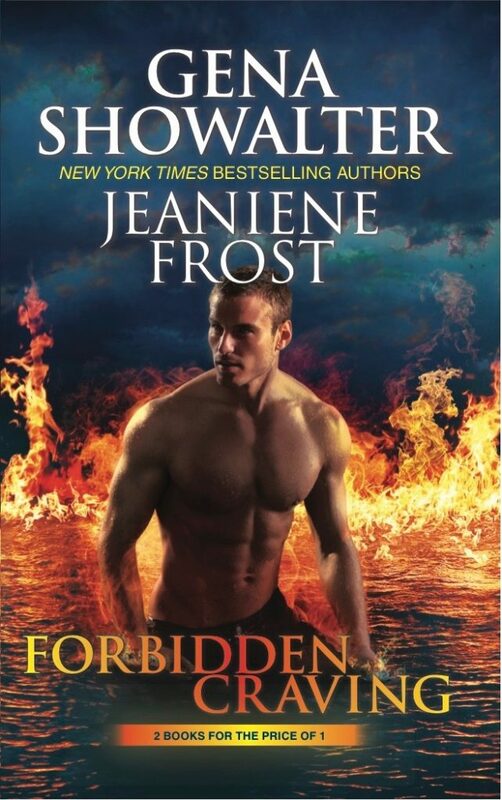 As promised, here is the cover for FORBIDDEN CRAVING, coming March 28th, 2017, which is a “twofer” collection that includes both The Beautiful Ashes, the re-issue of my first book in my Broken Destiny series, AND the reissue of The Nymph King (with all-new scenes!) by one of my favorite authors, Gena Showalter, all for the price of only one book. Get two unforgettable fan-favorite novels from two of the biggest stars of paranormal romance—New York Times bestselling authors Gena Showalter and Jeaniene Frost! Females young and old, beautiful and plain crave Valerian’s touch. None can resist his blatant sensuality and potent allure—until he steals Shaye Holling from a Florida beach and holds her prisoner in his underwater kingdom. Now Valerian must fight for the privilege of claiming her as his own. Because there’s one thing Shaye doesn’t know…when a nymph discovers his true mate, she’s his for life. Reissue includes special, all-new scenes. Once again, the combo collection FORBIDDEN CRAVING releases on March 28th, 2017. You can pre-order your copy here. Dear mam, hi! my name is Ohidur Rahman. I wrote a book about asylum seeker who now live in Manus Island under the Australian government. I was a asylum seeker for three an half years then i was back home. It’s English very beautiful love and sad story, i would like publish. Thanks.